This is Jonathan, a Senior Management Consultant in Allstate Management Consulting Services (AMCS)! Jonathan’s Allstate career kicked-off with a summer internship in our Allstate Roadside Services team. 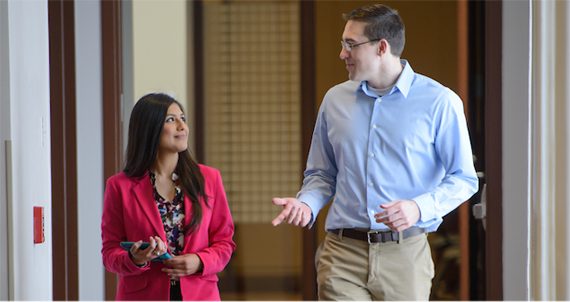 After graduating from Northern Illinois University with a bachelor’s degree in accountancy, he decided to join Allstate full-time as a financial analyst in our technology department where he worked on financial data analysis, creating plans and forecasting for our technology leaders. Looking to continue to evolve his skills, he joined the Allstate Brand Operations as a Senior Consultant in Customer Experience. In this role, he used data and analytics to help improve Allstate’s customer experience. Wanting to take the impact he was making from customer-level to the enterprise-level, he decided to join Allstate Management Consulting Services last year. “What renews my energy about my role in AMCS every day is the impact we create. AMCS fundamentally transforms the organization. It is incredible to be in the front seat of that change,” Jonathan shares. One of his favorite projects so far within AMCS was Project Uber. Allstate partnered with Uber Technologies Inc. to bring end-to-end insurance protection to drivers and passengers in Illinois, New Jersey and Wisconsin. This experience exposed him to senior leaders across the enterprise and the cross-functional work that takes place to make new services come to life at Allstate. Jonathan also has an entrepreneurship background and a passion for innovation, so much that he serves as a board member in business development for Intrapreneurs@Allstate (I@A). I@A is one of Allstate’s employee resources group (ERG) focused on creating an inclusive environment where employees with diverse, intrapreneurial thinking can foster innovation and contribute to Allstate’s business objectives. He’s been part of this ERG for over a year and really enjoys bringing innovation opportunities and resources to people across the enterprise to bring their ideas to life. Jonathan also leverages the Allstate’s Helping Hands program to volunteer for Urban Initiatives, an organization dedicated to inspiring youth towards success. 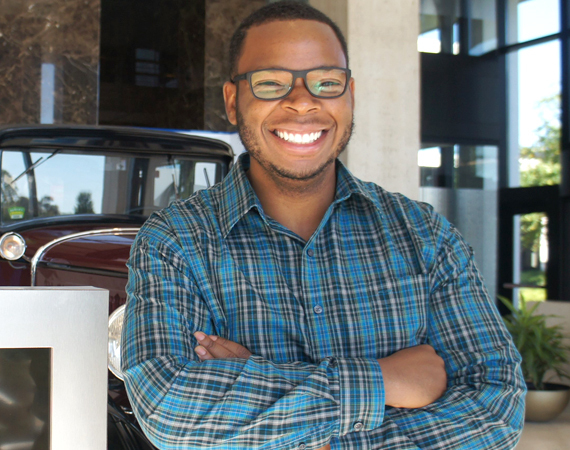 “Allstate cares about making you the best employee, value creator you can be,” Jonathan says. Are you ready to join AMCS? View our open AMCS positions. 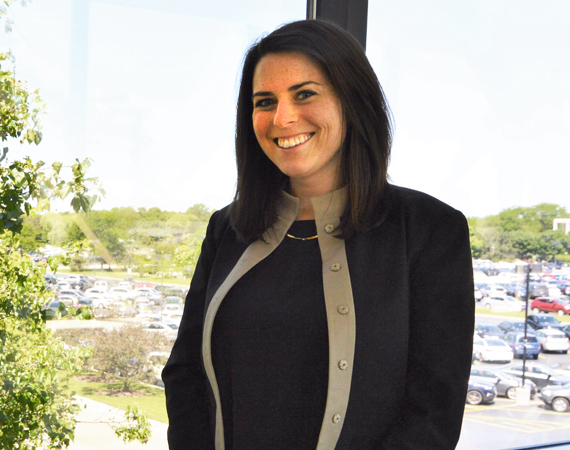 Meet Liz, one of our Management Consulting Experts in Allstate Management Consulting Services (AMCS)! 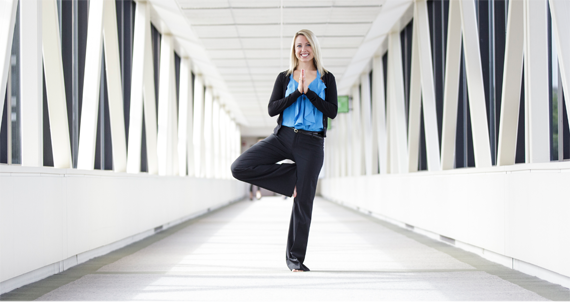 Liz has a background in industrial/organizational psychology and external consulting experience. She graduated from Purdue University with a bachelor’s degree in psychology and attended Illinois State University for her master’s degree in industrial/organizational psychology. Liz started her career at Allstate as a Management Consultant where she primarily supported projects through information gathering, analysis and recommendation development for business problems. Shortly thereafter, she was promoted to a Senior Management Consultant, where her responsibilities expanded to more conceptual strategy and implementation efforts. Liz then became a Lead Management Consultant, which changed her responsibilities from supporting management consulting projects to leading the development and execution of projects. “What I like about my current role is that no two days are the same and I really appreciate that. I’m someone who likes variety and in AMCS I’m consistently challenged, pushed out of my comfort zone, and always learning,” she shared. While at Allstate, Liz has mentored young professionals, been mentored and has worked with most business areas across the enterprise along with many Allstate-affiliated companies such as Esurance, Encompass and iVantage, all while taking advantage of leadership opportunities to continue growing professionally. Now, she is a Management Consulting Expert where she continues to lead project work, but also supports AMCS in the development of the business transformation methodology and internal talent development strategy. Her favorite thing about working in AMCS is the ability to make an impact. The methodologies AMCS uses help drive transformation that benefit Allstate and Allstate’s customers. As an internal consultant, Liz is able to see the impact of her work as it develops past the planning stage and comes to fruition. “There’s a different dynamic that you get to experience with your clients in building trust and respect and a solid relationship that you don’t always get to experience in an external consulting firm,” she said. Ready to make an impact? 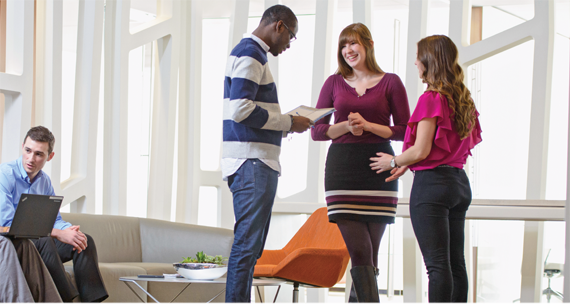 View our open positions with AMCS and beyond.